Your Genetics, Training and Diet play significant roles in how you look, feel and perform, especially if you're a woman. Now women always come into the gym and tell me that they don't want to get bulky. I've hashed this out a bit before but it bears repeating in a different way on how women don't get bulky lifting weights. Here are several reasons why a lot of women will just never get super big muscles in the gym! First off is genetics. Some people were just born with great genetics. They're parents were lean and muscular so there children both male and female were born with very low levels of body fat and high amounts of muscle. These are our genetic freaks and the mutants that we all love to hate. They work very little on their physique, but they look amazing (or unamazing depending one how much muscle mass you think is aesthetically pleasing). Some people just have great genetics and you can't really change those factors. You can always try to improve upon what you have, but there are limits to what you can attain. Most athletes have a good head start in their careers because they already have a large advantage through their genetics. Now that's not to say that hard work doesn't count. Even for those with good genetics hard training will show through at the end of the day. But how hard are you actually working? Are you training 5-6 days a week with heavy weights? If you're not training that hard and diligently, you're not going to stimulate the muscles frequently enough to attain a large amount of muscle mass. Three things cause muscle mass gain, load, volume and metabolic stress. Without enough of these three things you're not going to get large increases in muscle mass. Most bodybuilders train at least 4-5 days per week if not more in order to stimulate the muscle fibers to grow and hypertrophy. If you're training hard, but only 3-4 days per week you're not going to gain a significant level of body mass. You'll improve upon what you have, but it's not going to make your arms pop out of your shirt like Arnold Schwarzenegger. Women have to train very hard to get a significant level of muscle mass and their lifestyle has to dictate it. It doesn't just happen. You have to make it happen. Some ladies make it happen by using blends of testosterone to amp up their natural production, in which case this is not a natural phenomenon and a personal choice. 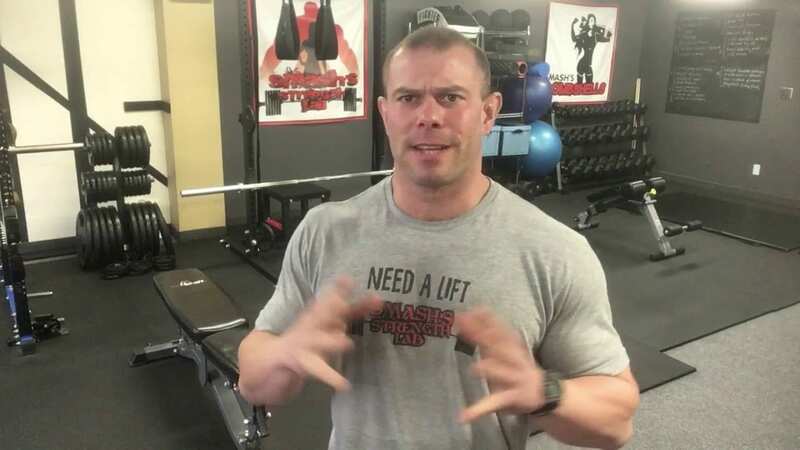 Long story short, if you're training with weights about 2-4 days per week and a moderate to heavy level of intensity you'll be able to get some good strength and small muscle increases, but it's not going to make you all jacked up. The most crucial component of every program is your nutrition. If your nutrition isn't following along with your goals in the gym, yes, you'll probably get bulky or in reality, you'll get fatter. Whenever you lift weights you're going to add some lean tissue into the mix, yes, that's natural. But that's what you want. You want the muscles to have shape and curvature. It gives us structure and form. But not tone. There's no such thing as toning. Toning is simply losing fat and building muscle. So if you're not losing fat, but you're building muscle then yes, you're getting bulky. Put the cupcakes down! So if you are weight training and not seeing the gains that you really want, start looking closer at what you're eating and stop blaming the weights. The weights are doing their job and building you some nice, shapely looking muscle, you probably just have to push away from the table a bit more to make the fat burning effect more prominent to help show off those muscle gains. There you have it ladies. You don't get bulky naturally unless you're genetically blessed (in which case I'm sorry you don't love the gift your parents gave you), you're using some sort of anabolic steroids (again personal choice), or you've taken your training level to the extreme and are diligently pursuing the goal of getting larger. Or the latter point you're just not eating correctly and need to shift some of those calories down a notch or two in order to lose fat while adding a bit of muscle tissue.